As a seller on Shopify, shipping can make or break your business. 68 percent of sellers consider the cost of shipping to be their biggest operational challenge. Plus, shipping has become a key consideration in the consumer purchasing process. 31 percent of consumers will wait to make a purchase until there’s a free shipping offer. Whether you’re just starting an e-commerce business or you’re running a mature Shopify store, it’s a good idea to assess your shipping process periodically, including determining whether your company would benefit from using a Shopify shipping app. Why Should I Use a Shopify Shipping App? A Shopify shipping app will help you compare shipping rates, print shipping labels, and automate your communications with customers. 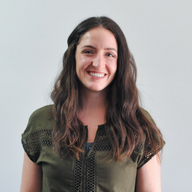 The best types of shipping integrations are the ones that will work in sync with your current workflow so you don’t have to manually copy and paste information between platforms. Most importantly, you want to make sure that the Shopify shipping app you choose will automate much of the shipping process for you, so you can spend less time on shipping and more time growing your business. Here are three of many features to look for when choosing the right Shopify shipping app for your business. You can pre-select a lot of shipping-related information directly in the Shopify dashboard. For example, you can choose different shipping methods for how the buyer will pay for shipping (if at all), including exact shipping costs, flat-rate shipping, and free shipping. Shopify lets you customize those shipping methods depending on the order value, package weight, destination address, etc. If you opt to offer a variety of shipping methods, like only providing free shipping on orders over $100, you’ll want to find a process that helps you organize your orders during the backend fulfillment process. 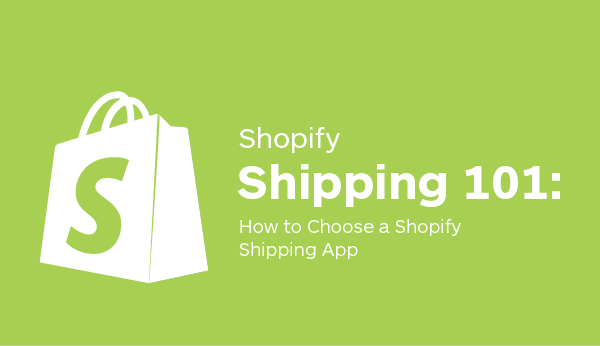 Choose a Shopify shipping app that lets you filter by shipping method. That way, you can bring up only the free shipping orders and choose a cost-effective, slower carrier service level, like USPS First Class Package Service (FCPS), for all of the filtered orders. Then, you can bring up the orders with the shipping costs covered and choose your preferred shipping service level, maybe FedEx Ground or USPS Priority Mail. After your customers have clicked “buy”, they will be on the lookout for a tracking notification email from you. In fact, shipping confirmation emails are opened 1.5 times on average—making them the easiest way to engage with customers right after purchase. The good news is that there are many ways to automatically send the tracking notification email to your customers. First, you could use a Shopify shipping app to automatically send notifications. Another option is to send the notifications directly through the Shopify dashboard. Keep in mind that you only want to use one of the automated email options or risk hounding your customers with duplicate notifications. If you’re using Shippo, check out this help page on setting up your email notifications either through Shippo or Shopify to making sure you’re only sending one email. Starting in August, Shopify will allow your store to save multiple sender and return addresses to help you manage products in multiple locations. Since this feature is brand new, many outdated Shopify shipping apps will not support multiple locations at the time of launch, which means you won’t be able to take advantage of the feature if you choose to print labels through them. Shippo will support the multiple locations feature at launch and lets you automatically sync orders, generate shipping labels, and then send back tracking information. You can opt for the Shippo Pay As You Go plan that has no monthly subscription fee—you just pay five cents per label—or you can choose the Professional subscription plan with no label fee and more customization options. Shipping is such a critical component of any e-commerce store that it’s worth taking the extra time to research and get it right. Shopify shipping apps will help you streamline and automate much of your shipping process so you can prevent manual error and save time in the fulfillment process. This is the first of a series of posts dedicated to helping Shopify sellers optimize their shipping strategy to boost their bottom line. You can view the second post on how to optimize Shopify shipping rates here. If you’re looking for more advice, check out our e-commerce tools and best practices page.